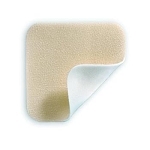 Home > Wound Care > Dressings > 3M Tegaderm Ag Mesh Dressing with Silver - 4" x 5"
Tegaderm Ag Mesh Dressing with Silver provides an effective antimicrobial barrier in an affordable silver dressing. 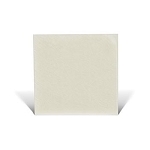 Tegaderm is a nonwoven dressing containing silver sulfate which releases silver ions in the dressing creating an effective antimicrobial barrier for up to 7 days. 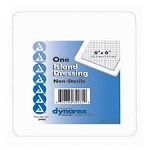 The soft, absorbent dressing is supplied sterile and may be custom cut. 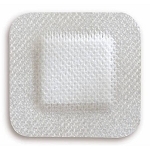 3M Tegaderm Ag Mesh Dressing with Silver is a porous, non-occlusive dressing that conforms to the wound base and wicks drainage into the dressing where the silver ions are available to reduce the number of bacteria and yeast.